We’re thrilled to have the debut performance of ‘Sounds of Refuge’ performed live on the World Music Stage sponsored by Arms Around the Child and BIMM. Sounds of Refuge is the debut world music album from John Falsetto, Mohamed Sarrar and Ammar Haj Ahmad; all cast members of West End Theatre production; The Jungle. Fusing Zimbabwean, Sudanese and Syrian music, spoken word and poetry. 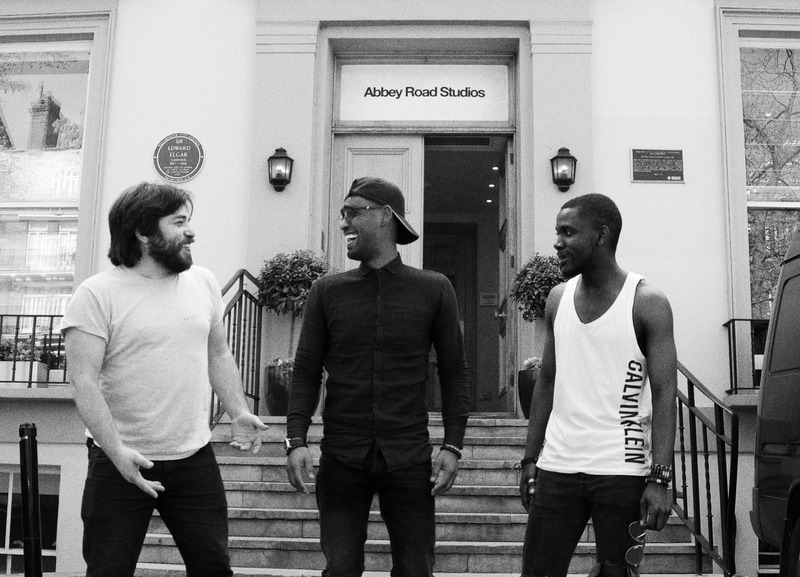 Composed and performed with traditional African instruments mbira, darbuka and djembe, the three musicians together with special guest Duncan Webb on piano and keys, recorded their debut album at London’s iconic Abbey Road Studios in summer 2018. The album will receive its world premiere live performance on the World Music Stage at Victorious Festival on Sunday 26 August, where John, Mohamed and Ammar will be joined by Panashe Kanyangarara on vocals and guitar, Shaba on bongos, Duncan Webb on keys and Pip Carr on guitar. Good Chance; a charity bringing the means of creativity to to areas where expression is stifled first met Mohamed in the Jungle in Calais in 2015. He became integral to the camp’s then newly-built Good Chance Theatre, a temporary theatre of hope promoting freedom of expression, creativity and dignity for everyone. There he met Joe Murphy and Joe Robertson, Good Chance’s Artistic Directors, who have since gone on to write a play called The Jungle, based on their experiences living in Calais for seven months from September 2015. The play was created alongside refugees from across the world now settled permanently in the UK including John and Ammar, as well as Mohamed and other former residents of the Jungle. All three perform in the production; John is also the play’s musical director and composer. John and Mohamed began writing music together in their dressing room for The Jungle and the idea for Sounds of Refuge was born from a desire to challenge pre-conceptions about refuge and being a refugee. The Jungle is a National Theatre and Young Vic co-production with Good Chance Theatre written by Joe Murphy and Joe Robertson and directed by Stephen Daldry (The Crown, Billy Elliot) and Justin Martin, presented by Sonia Friedman Productions and Tom Kirdahy, Hunter Arnold. The production is set in Europe’s largest unofficial refugee camp, the Jungle in Calais, which in 2015 became a temporary home for more than 10,000 people. The Jungle has since transferred to the Playhouse Theatre in the West End where it is currently playing until 3 November, before it transfers to St Ann’s Warehouse in New York. The play has received a host of five-star reviews, a South Bank Show Award and unprecedented praise from audiences (see below). The Sounds of Refuge album artwork is designed by Majid Adin, an Iranian visual artist who found the inspiration to draw again in the Good Chance Theatre in Calais following political exile which prevented him from painting for over 10 years. Through the support of the Good Chance Ensemble, Majid won a competition to create the official music video for Elton John’s ‘Rocket Man’, brilliantly re-contextualising the lyrics as a refugee’s journey to Europe through his animation: see video online here. Good Chance commissioned Majid to design the artwork for Sounds of Refuge, working closely with John and Mohamed to realise their vision and combining calligraphy from Zimbabwe and Sudan in his artistic treatment. In the coming months, Good Chance will release a music video for the title track ‘Refuge’, featuring Good Chance friends from across the world.